Better Place Forests creates, operates and maintains protected spreading forests for families who want to create natural memorials. 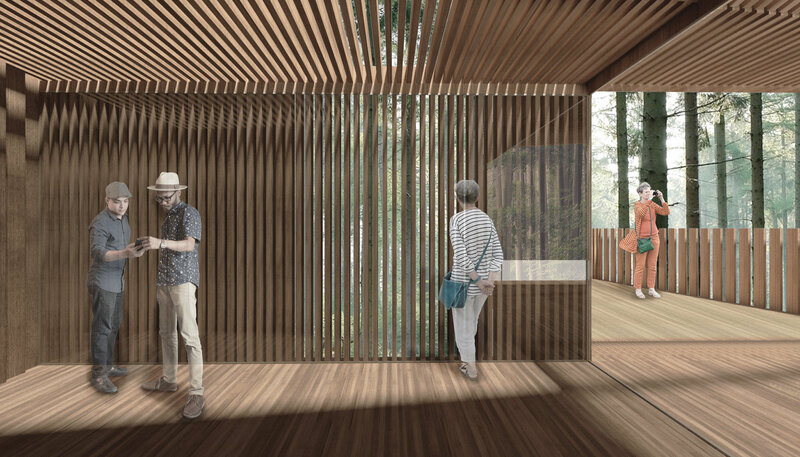 For their first protected forest, located along the coast in Mendocino County, California, the founders’ desire was to create a welcoming visitor experience that was both memorable and non-obtrusive. 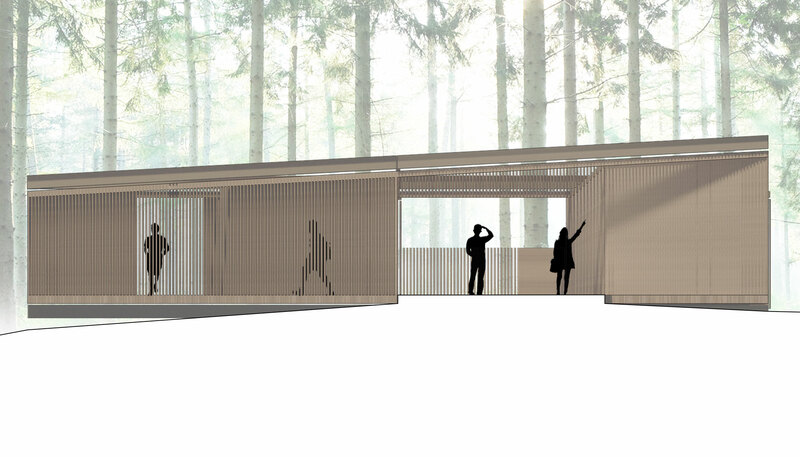 This proposal for a Visitor Center and Administration Office was sited at the edge of a clearing, providing a threshold between parking and forest meadow that allows visitors to gather, reflect and orient themselves before exploring the site. 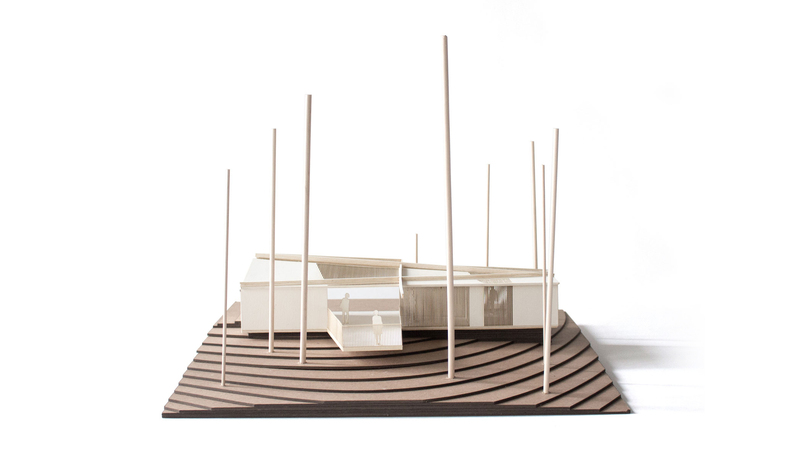 The Visitor Center invokes the simple geometries of Charles Moore’s nearby Sea Ranch Condominium’s while reorienting a forest vernacular A-frame into a planimetric organizing device. 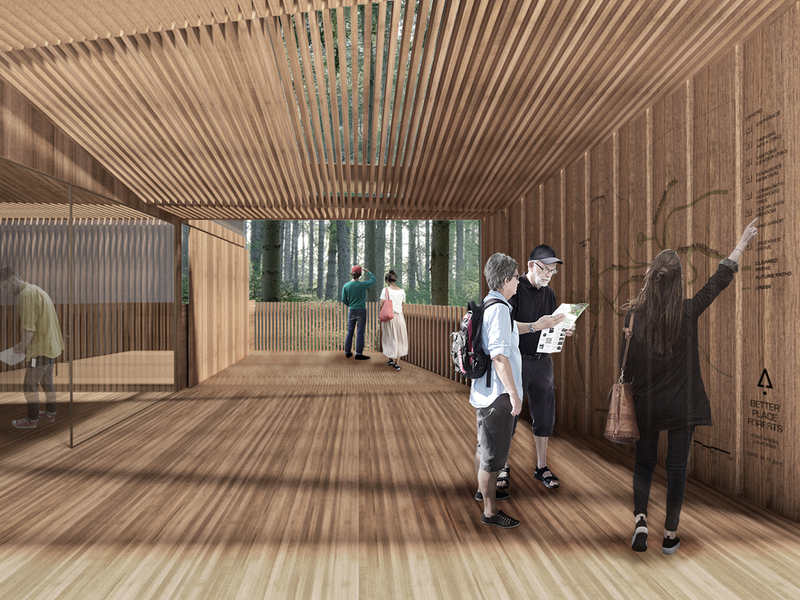 Proposed as an open air structure of wood filigree, light becomes an active material element over the course of the day. In harmony with its place, the project establishes bonds with the land the mirror our own attempts to tread softly and react humbly when faced with the rugged California coastline.